Fun runs have been regularly held in South Cotabato and I could only be quite pleased that another activity can be initiated other than fun runs. 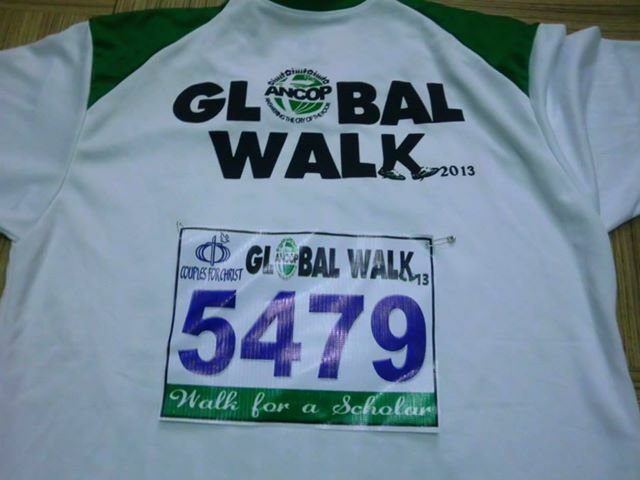 August 25 is Walk - For - A - Scholar, a hosted event by the Couples of Christ. This event intends to help less fortunate students who need help to sustain their education. I would love to join the walk but Sunday is Triathlon training of swim - bike - run and with my gadget, bike, apparel among everything else, the day is quite filled. I only hope that the walk - race tomorrow will be fun filled as Amplifier Covers & Cases at musician's friend and participants or walkers will fill the assembly area in Robinson's Mall. Fun zumba music will sure fill the early morning and the walkers could only be happier to help raise funds for our students.